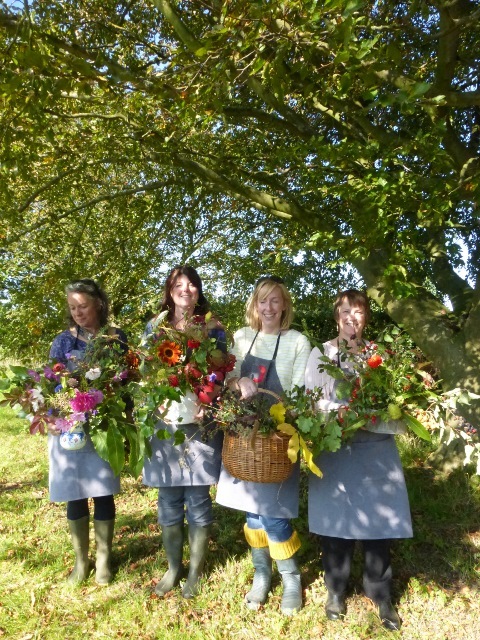 Its several weeks now since Anna and I joined forces to bring another of our workshops to flower lovers of Kent. 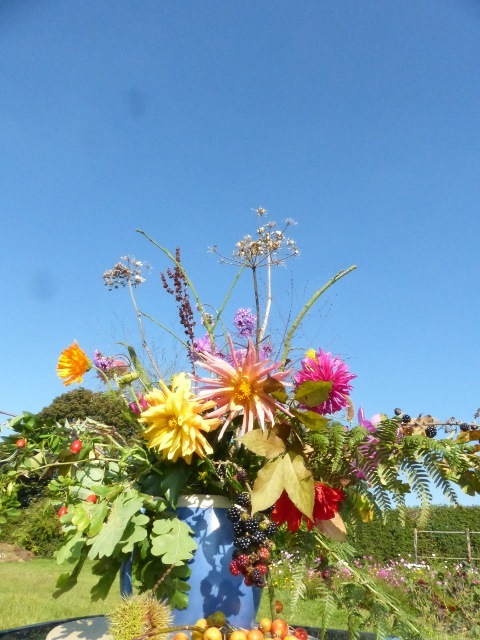 After the downpours during our flower crown workshop in the height of summer, our autumn day in field was wall to wall sunshine. With the gloomy weather set in for the approach of winter it’s been a real pleasure to look back at the colourful photographs of our day. 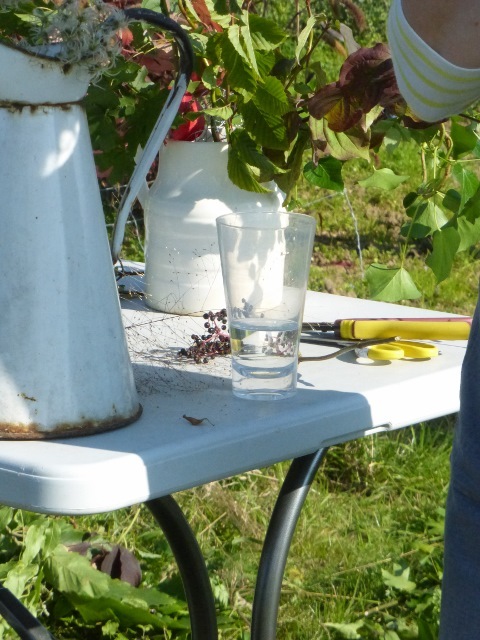 We started with a cuppa on the patio, overlooking Anna’s private garden – and had a great view of her Oast house cowl being repaired. We walked with Anna across the orchards. Buckets and clippers in hand we foraged for all sorts of interesting greenery and seed heads. We were even joined by Anna’s lovely Labrador – and later the newest addition to the family, a lovely puppy. 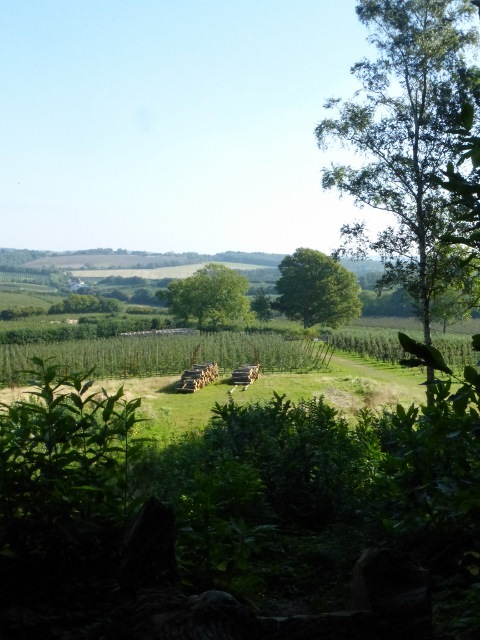 Anna picked apples from the trees for us to taste and then we circled the edge of Perry Woods to the most amazing view point. Anna went back ahead of us and we took a shortcut through the orchards back to the farm. 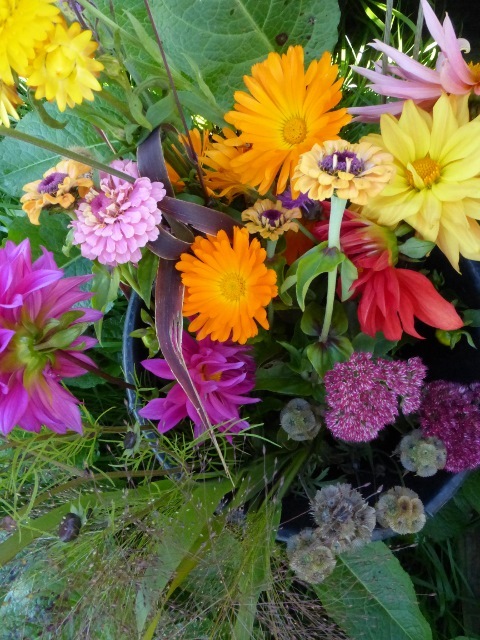 Here we picked from her flower plot. 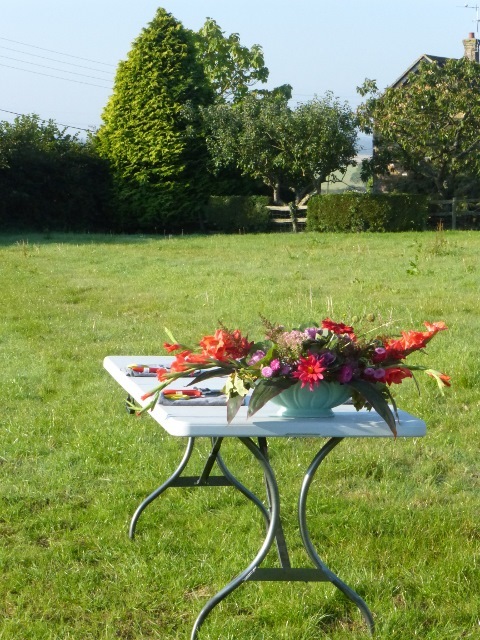 While the flowers were set in buckets of water to drink, we headed back to the house for our lunch. Anna is a great cook and inspired by her pear and blue cheese tart, I served up a rather tasty lunch at home the following week!